- Super lightweight leather jacket. - Extremely comfortable to wear on and off the bike. 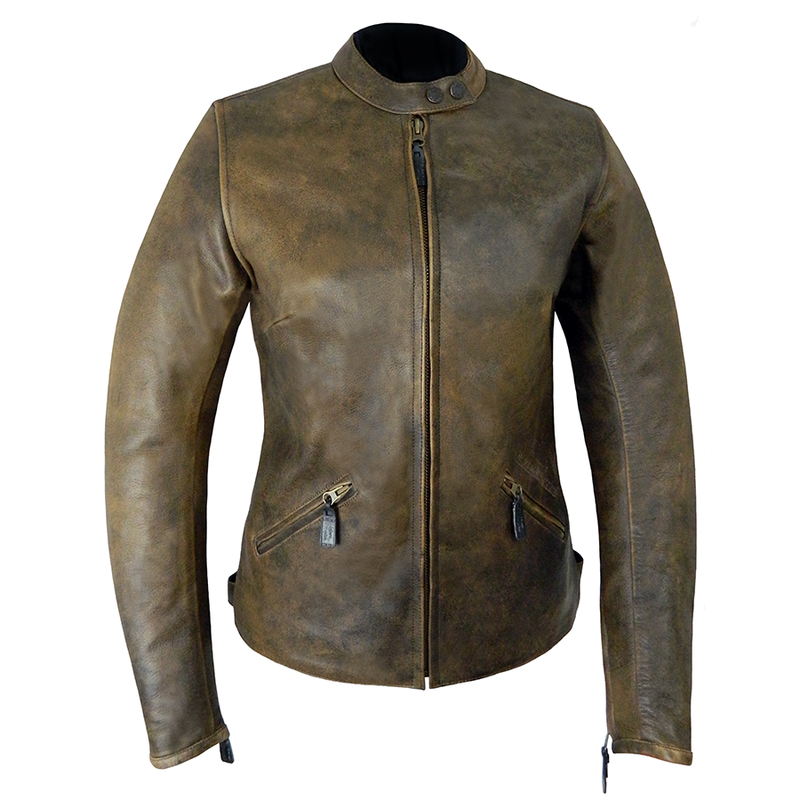 Constructed in 1.2 - 1.3mm supple cowhide leather. The thickness of the leather we use in our bike jackets is the perfect balance between being comfortable to wear and strong enough to give your skin the best chance of being protected on a slide down the road. 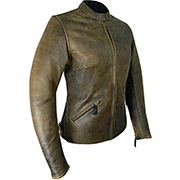 The cotton-rich lining has the same duel purpose as the leather. It offers great comfort while also preventing friction burns if you come off your bike. Cotton being a natural material ensures it doesn't melt into your skin when it encounters friction heat from the road, like man-made lining materials (polyester, nylon etc). All other materials used in this jacket are equally durable and lasting, from the heavy duty thread holding it all together to quality YKK zips - the best we can use. - Two external zipped pockets. - One internal zipped pocket and internal mobile phone pocket. - Zipped cuff openings for ease of glove fitting. - Press studded tab collar. Want more safety features? You got it. 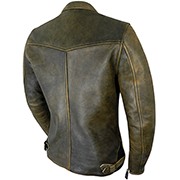 This jacket features our unique, exclusive and fully adjustable armour system in the shoulders and elbows. The Viscotec CE memory armour available for this jacket is the new and smartest way to protect your most vulnerable areas. It molds to your body discreetly and comfortably in the exact position that is right for you and is there to absorb the impact of the hard concrete if needed. "I couldn't be happier with the jacket - the fit is excellent and the finish feels very high quality". "This jacket is absolutely outstanding in quality".